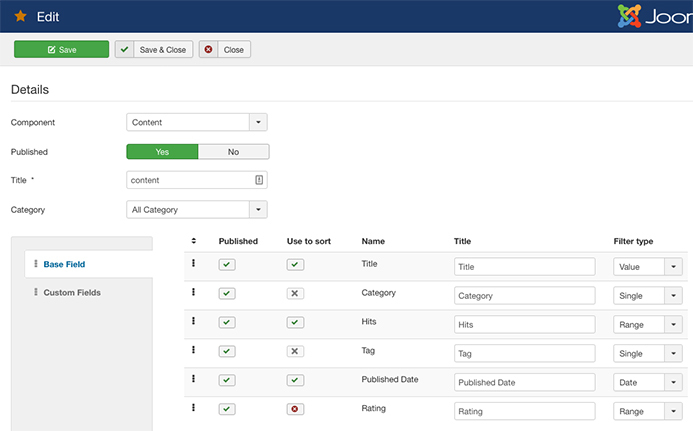 JA Megafilter is updated to supports the new Joomla custom fields to help build stunning Joomla articles search and filter page with basic fields: title, category, hits or custom fields: color, calendar, size, user, etc with well-structured layout and beautiful responsive design. 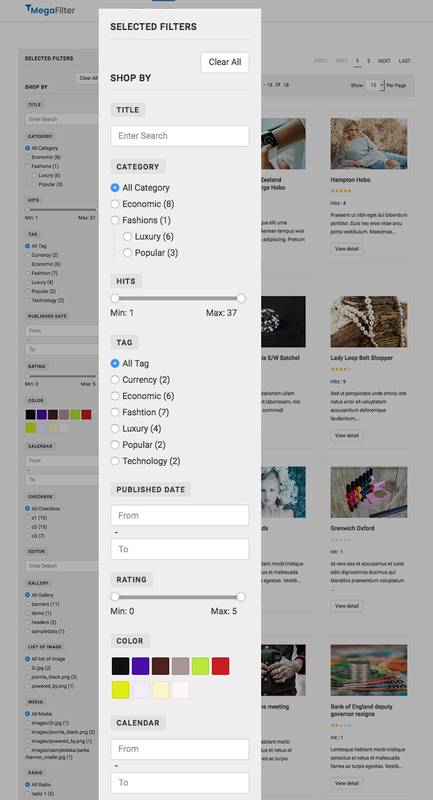 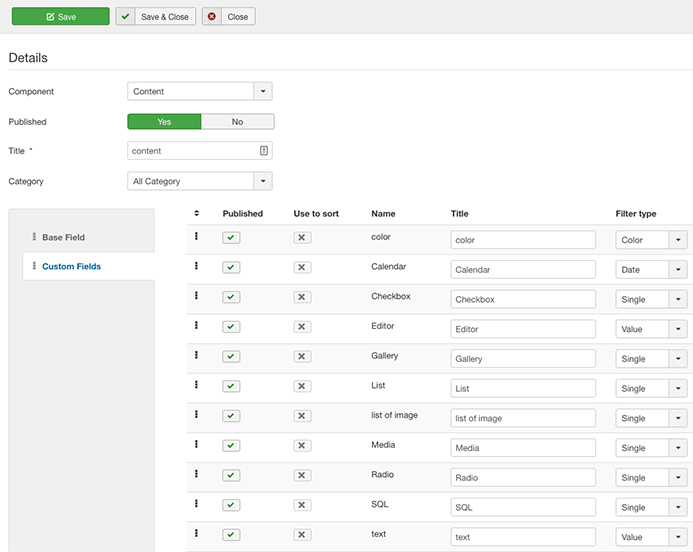 The search and filter includes 2 main sections: Base field and custom fields. 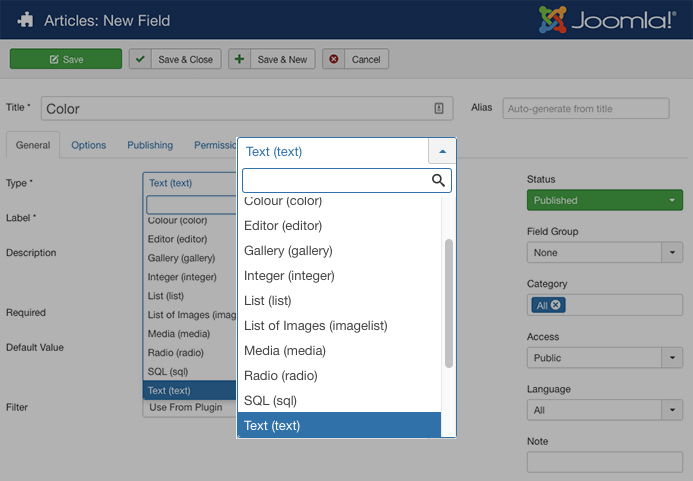 Create Megafilter for Joomla custom fields and enable or disable the fields you wish to include or exclude.